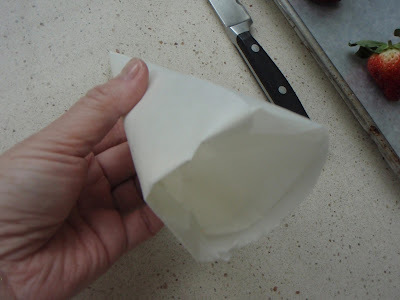 Cook with Claire: How to Make a Paper Cone & Writing with Chocolate! 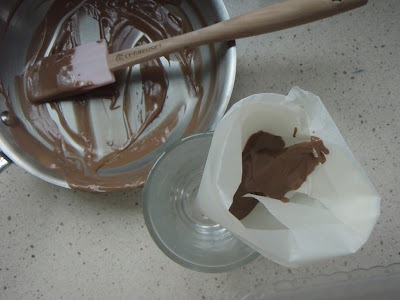 How to Make a Paper Cone & Writing with Chocolate! 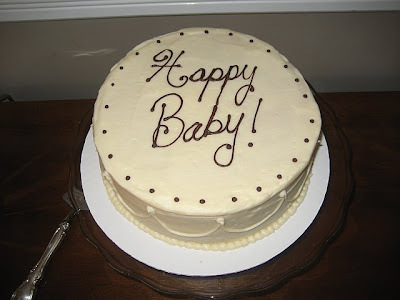 This is my Heirloom Cake all dressed up for a baby shower. 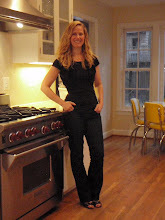 I made it for my dear friend Ann. You remember the shortbread cookies with the chocolate writing, don't you? 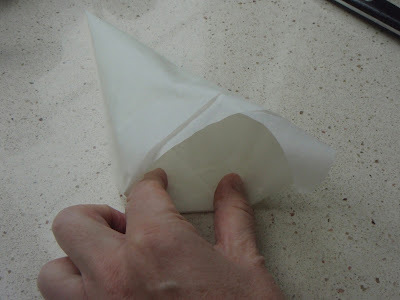 In that post I promised to show you how to assemble a traditional paper pastry bag or "cone". 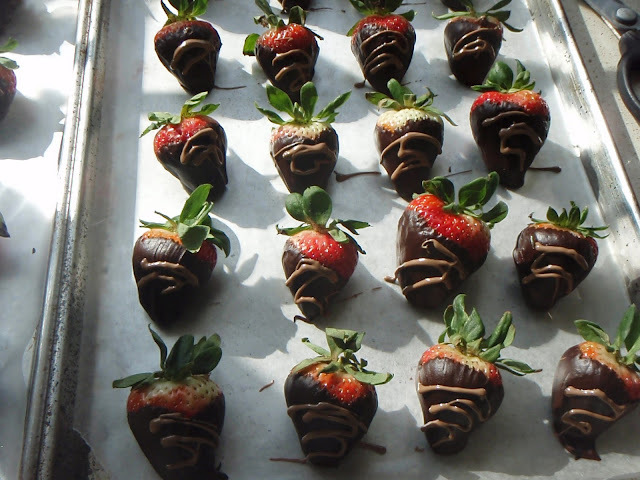 Most importantly, I said I would show you how to write with chocolate! 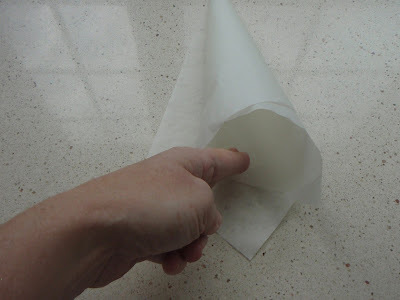 First, you need a paper cone! 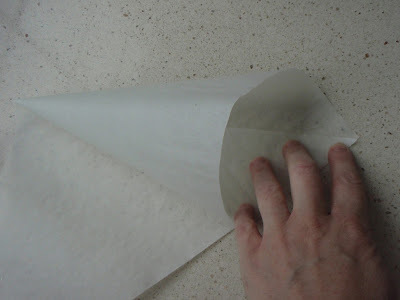 A paper cone is really the best tool when it comes to writing/decorating. 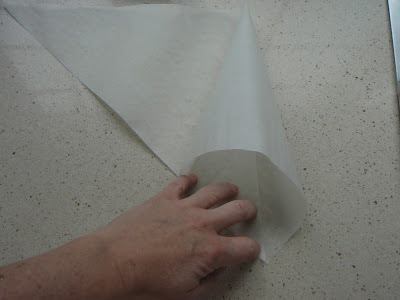 It is really the preferred method over pastry bag with tips. 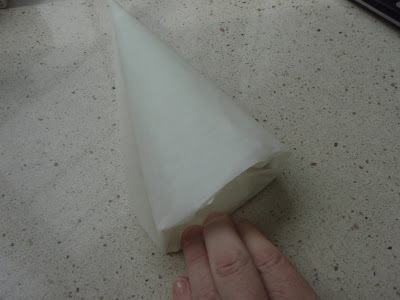 These cones are easy to make and when it comes to writing with chocolate there is no better tool! 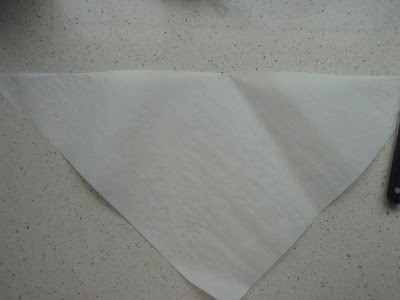 I buy the pre-cut parchment triangles --these can be found at Little Bitts Shop, A.C. Moore, or Michaels. Here is my tutorial below. 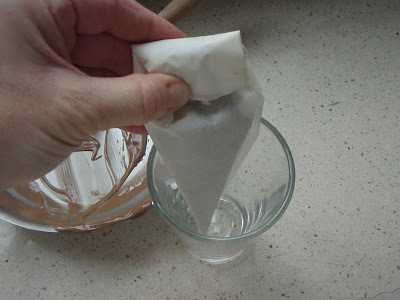 Place it into a glass so that you can pour the chocolate into the cone. Now snip the end with a pair of kitchen scissors. Hold cone from the top applying a little bit of pressure as you write words or just decorate like I did on the strawberries below. Thanks for commenting. I hope it helped you!